Soon after his election the Mayor of London, Sadiq Khan, called for new proposals to urgently help tackle London’s lethal air pollution. The Mayor has already introduced the T-Charge in central London, bought forward the start date of the Ultra Low Emission Zone (ULEZ) for central London to 8 April 2019 and announced a series of measures to clean up London’s bus fleet. In Thurlow Park, they involve a new low emissions zone extending up to but not including the South Circular. As your local Labour councillors, we have responded to the consultation calling on the zone to be wider, covering all of London rather than stopping at the South Circular. traffic, including Norwood Road and Lancaster Avenue. cycling in our ward, and especially on these roads, is damaging their lungs. impact the heavy vehicles that we experience disproportionately. disappointed that it is being proposed to go only as far as the south circular. schools and very near to two more. 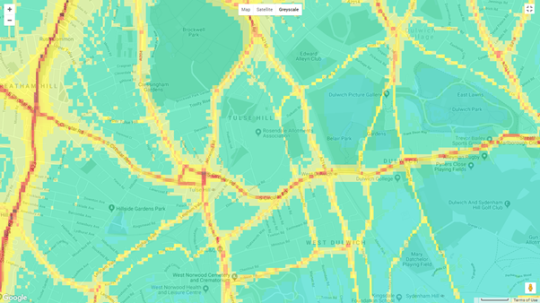 southern half of the ward become a rat run for London’s most polluting traffic. Posted on February 28, 2018 by thurlowparklabourTagged consultation, low emissions zone, mayor of london, south circular, tfl, traffic, transport for london, ulez. Previous Previous post: Time to get organising for this summer’s street parties!